I suddenly knew how it felt to walk in clouds. didn’t work worth a damn. and closing around all those colors. 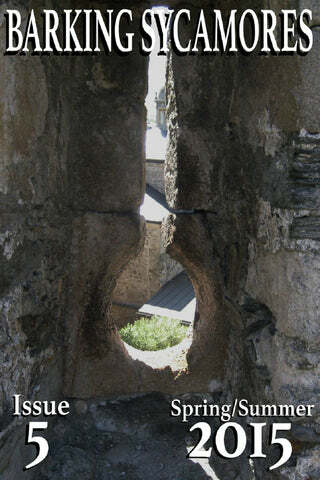 that waited flat and heavy between my lips. might be hidden inside his throat. 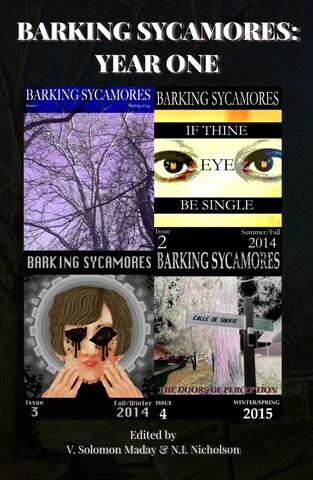 Barking Sycamores: Year One in Print!